The Gavel, a nationwide network of vetted insurance industry attorneys, has selected Fowler Hirtzel McNulty & Spaulding to be its exclusive firm representative for eastern and central Pennsylvania as well as southern New Jersey. The Gavel network includes firms who have been qualified through a 3 step process that includes referral by industry professionals, completion of a comprehensive application and a review process and satisfaction of critical criteria to ensure that members will deliver efficient and economical results while maintaining high standards of professional conduct. 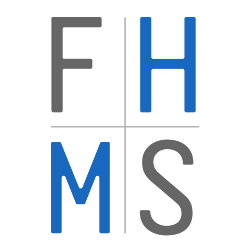 FHMS views membership in The Gavel as an opportunity to work with like- minded, forward thinking law firms to advance efficient and cost effective file handling. The organization also provides firm members with an opportunity to further serve our national client base through referrals of vetted law firms, as well as involvement in formal and informal educational programs sponsored by The Gavel.